Creative use of a severe slope. 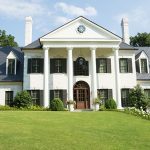 The homeowners purchased the home and 4+ acres so that their three young children would have a “magical” place to grow up. 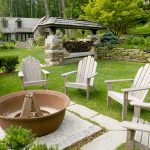 Their program for the project included amenities such as a new pool and patio area, outdoor kitchen, bocce ball court, putting green, fire pits, in-ground trampoline, and overall landscape renovation. The property had a severe slope in the back. 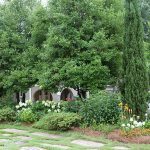 Healthy existing trees, which could not be removed, provided limitations in some areas, and access around the sides of the home into the project area was very tight due to the steep topography. Additionally, it was discovered during the design phase that the existing pool had a considerable leak. 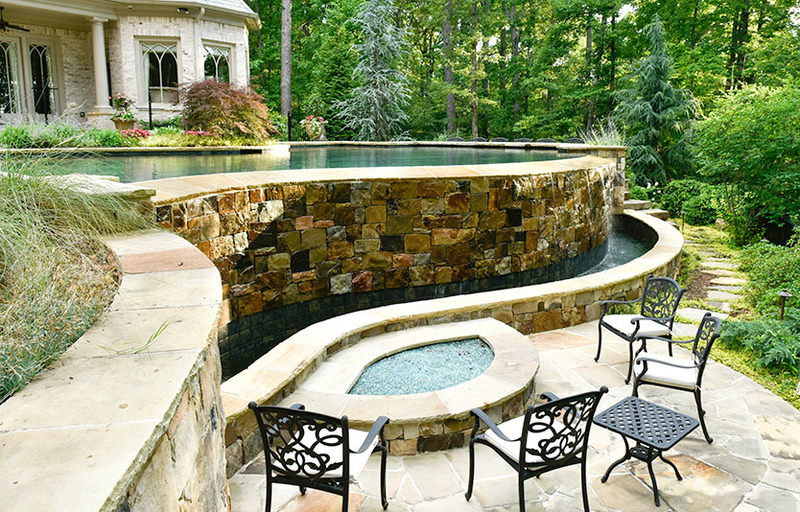 The project scope increased from a pool renovation to a total pool replacement and redesign. The existing pool had to be demolished, and the site had to be filled and compacted with engineer approval prior to digging the new pool. 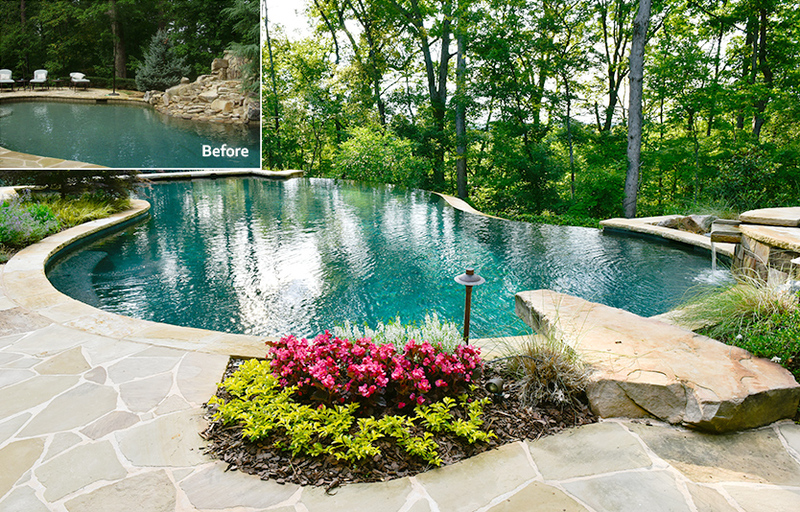 The “before” photograph shows the pool layout before the re-design, which featured an out-of-place rock feature, poor utilization of the available space, and a deteriorating pool. The new design integrates an enlarged pool with sweeping curves, vanishing edge, spa, and swim up bar. 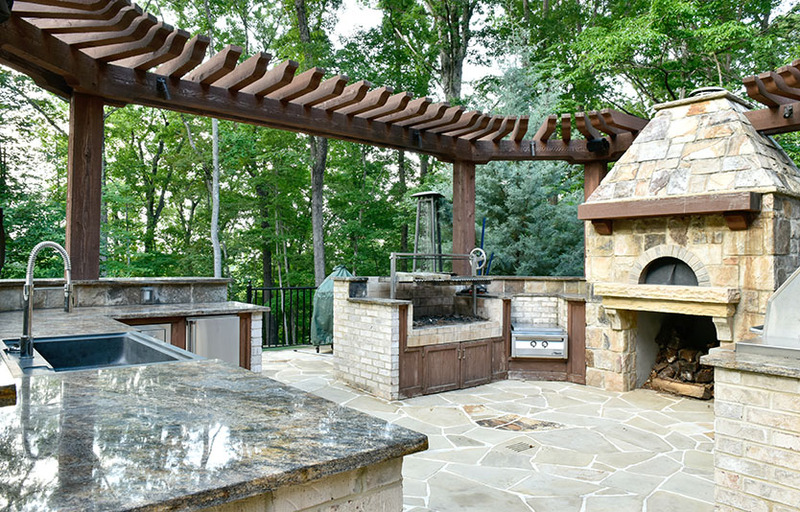 The addition of retaining walls and terraces on the slope created additional usable space for numerous amenities, including this outdoor dream kitchen. The kitchen included amenities such as refrigerator, ice machine, gas and hardwood grills, sink, and pizza oven. This swim up bar, at the opposite end of the pool from the spa, features seating inside and outside the pool, a great feature for large poolside events. 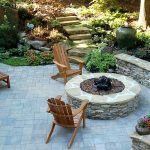 This previous configuration (in a lower area of the property, adjacent to the pool terrace) was poorly drained and too shady for the existing turf, resulting in a muddy mess. 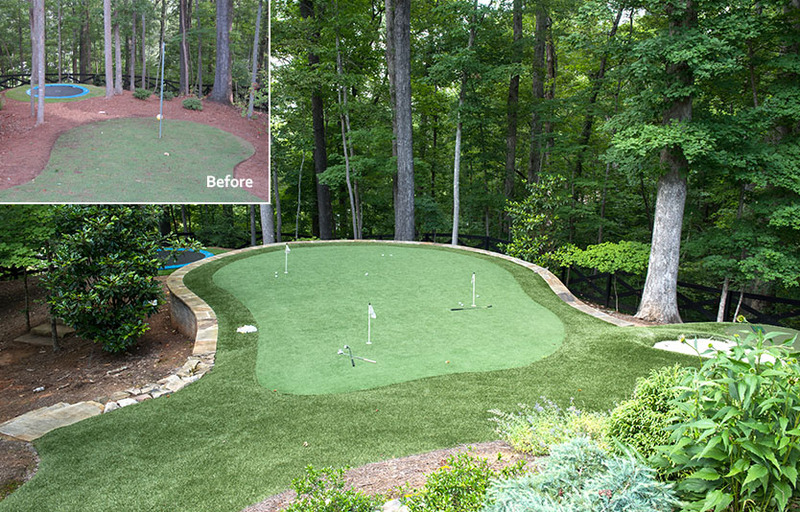 After the removal of a few small trees for sunlight, and the installation of a low wall to level and drain the area, the homeowner’s desired putting green found a perfect home. The steep slope was previously unused. This design made creative use of that real estate through a dramatic series of usable spaces on multiple terraces, which provided room for the homeowners’ extensive list of amenities and also helped connect the upper pool deck to the lower, open green space. 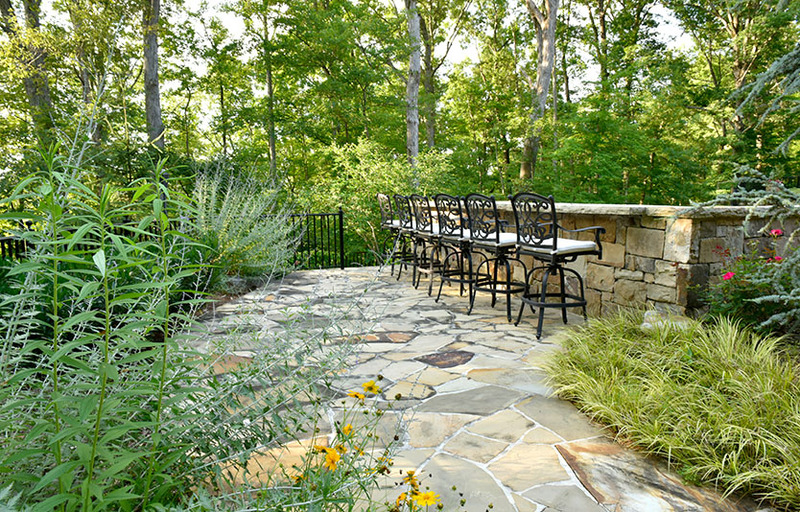 Creating Atlanta’s finest private outdoor living spaces and making dreams a reality since 1992. 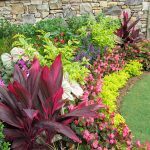 Ed Castro Landscape, Inc. is an award winning, full service landscape firm that provides everything necessary for a home owner to enjoy a unique and sustainable landscape. 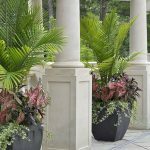 As a full service construction, horticulture and maintenance firm, we take pride in transforming your outdoor living space with our talented and experienced staff of designers and landscape professionals.